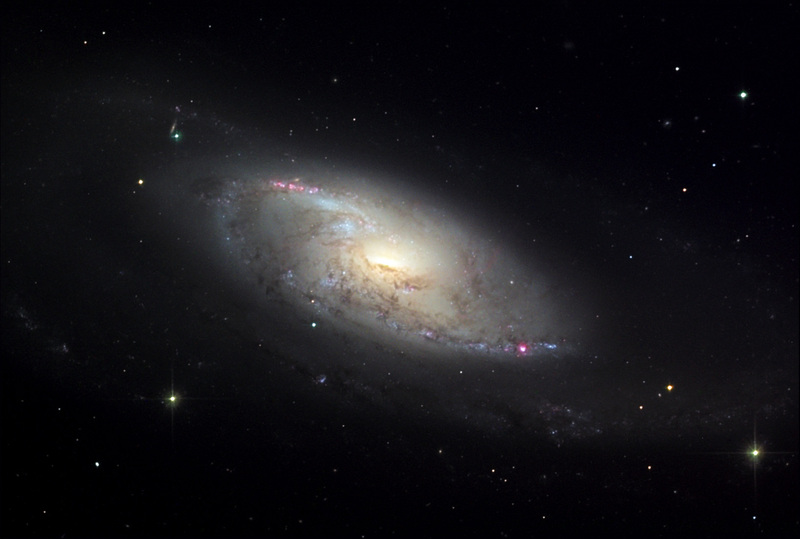 Explanation: Close to the Great Bear (Ursa Major) and surrounded by the stars of the Hunting Dogs (Canes Venatici), this celestial nebula was discovered in 1781 by the metric French astronomer Pierre Mechain and later added to the catalog of his friend and colleague Charles Messier as M106. Modern deep telescopic views reveal it to be an island universe -- a spiral galaxy around 30 thousand light-years across located only about 21 million light-years beyond the stars of the Milky Way. Youthful blue star clusters and reddish stellar nurseries trace the striking spiral arms of M106. 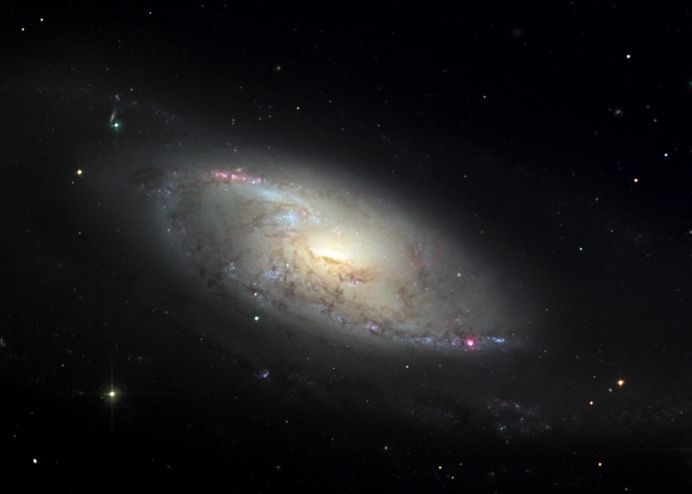 Seen so clearly in this beautiful image, the galaxy's bright core is also visible across the spectrum from radio to x-rays, making M106 a nearby example of the Seyfert class of active galaxies. The bright core of a Seyfert galaxy is believed to be powered by matter falling into a massive central black hole.